Check out the freestyle action in this clip from the Israeli crew featuring Adam Gavriel, Yarden Meir and more. Some big moves in this clip from Eilat, Israel. Italian wavesailor Fabio Paganini put this short and sweet clip together after some epic conditions hit the Island of Sardina recently. Sardinia is well known for producing some amazing freestylers, but not so famous for it’s waves. Enjoy the clip with action from Adrian Beholz, Dieter Van Der Eyken, and Fabio Paganini. 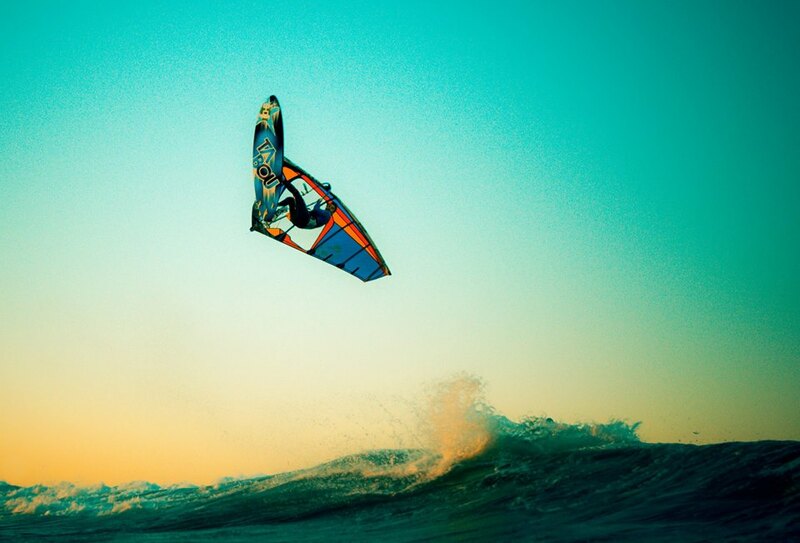 Maxim De Buck got spoiled with weekend full of wind and waves in Belgium this June. On Sturday Max hit up Wissant, Sunday he went to my homespot Ostend. Enjoy the clip he put together to a chill reggea tune. Check out the new clip of Dutch Freestyler Nick van Ingen at his home spot Brouwersdam! Some sick freestyle of Bjorn Saragoza (NB-11) in Bonaire brought to us by Kuma Movie! Some recent full speed slalom training from Guadeloupe featuring three friends, Tristan Algret, Lucas Darent and Johann Dargent. The Aloha Classic began in 1984 and ran until 2006, where it was the final event of the Pro World Tour Season. This video from 1985 captures the multi-discipline competition including Slalom, Wave and Expression Session. In 1985 Alan Cadiz won the event, but there was no shortage of big names from the 80’s including Mike Waltze, Ian Boyd, Mark Angulo, and more! Here’s hoping the event returns! A portrait of Spanish proferssional winsurfer Albert Pijoan, who currently resides in Pozo Izquirdo, Gran Canaria, one of the windest places on Earth! Filmed over a couple days, this short piece gives us a clip into Albert Pijoan and why he moved to Pozo, of course with some awesome action! Check out this music video ‘Pandemonium from Amir Chales, featuring scenes from the movie ‘Children of the Wind’, which of course features the Bonaire Crew! Enjoy! Here is Andraž Žan’s clip from the Bonifacio Freestyle Project. in a beautiful place called Piantarella… Adrien Bosson, Nico Akgazciyan, Julien Mas, Antoine Albert, Romain Pinocheau and Antony Ruenes for team France and Maarten Van Ochten, Ruben Petrieise, Maarten, Steven Van Broeckhoven and Dieter Van Der Eyken for team world. All the riders showed really really good skills in Light wind freestyle, SUP competition, Tow In and freestyle windsurfing. We had great weather and perfect conditions for all the “disciplines”. We got unbelievable hospitality from Cristelle Baud and all the locals who work and live there. The place is amazing and the nature is amazing… Check out what does it mean to have a good time and show a lot of action! Thanks to Cristelle Baud, Thomas Traversa and everybody who made this cool event happen! The 2014 Magic Ride is a brand new board in JP’s lineup. The board looks to fit between fits between freeride and the classic shortboard, with a short, wide and thin shape. Check out this video from the JP photoshoot on Maui with action from Julie Kornum and Andy “Bubble” Chambers. Shaper Werner Gnigler explains the new shape with Andy Chambers.